The star had been due to embark on her biggest tour yet last week, but was forced to undergo vocal cord surgery after suffering a haemorrhage. However, she's now been given permission to perform live again. 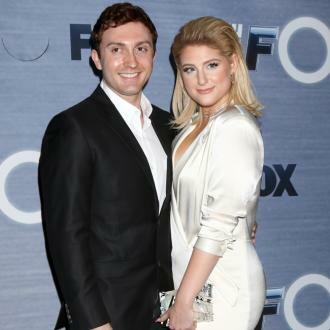 There’s great news for Meghan Trainor fans as the singer has announced that her doctors have given her the all-clear to resume her U.S. tour straightaway. Last week, the ‘All About That Bass’ star broke the news to disappointed fans that she had been diagnosed with a vocal cord haemorrhage and had ordered to completely rest her voice – no singing or even talking – and was therefore forced to cancel the first two of the scheduled dates for her ‘MTrain’ tour, in Atlantic City and Connecticut. However, Meghan has recovered swiftly from the emergency surgery she underwent soon afterwards, and has been given the green light to resume playing live, starting on Tuesday (July 14th) in St. Louis. The 21 year old took to her social media accounts to express her joy at being able to get back out on the road again so quickly. “DOCTOR SAYS IM GOOD FOR THE #MTRAINTOUR! Get READY #MEGATRONZ I'm coming for ya... Great news!!! DOCTOR SAYS IM OK TO SING!!... so happy! !” she wrote on Twitter on Monday evening (July 13th). She also posted a short Instagram video of herself riding around her house on a ‘Mohawk’. It’s believed that Meghan will try to rearrange the cancelled tour dates for the end of her North American stint, which will wind down in mid-September.